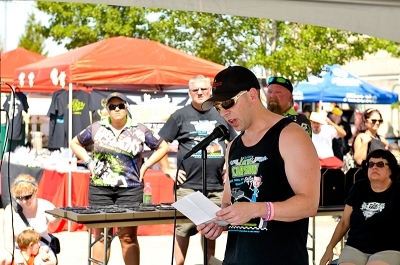 Kyron's Car Show is an annual event held the first Sunday in August. The goal of the show is to bring everyone together for some good old fashioned fun, while continuing to promote awareness for missing children and child safety. 100% of all fees/donations and show proceeds go to the Kyron Horman Foundation. 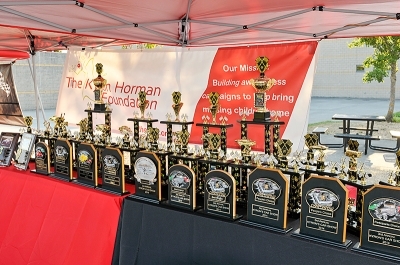 The Kyron Horman Foundation is a 100% volunteer 501c3 non-profit public charity with a mission to build awareness campaigns that help bring missing children home. If you would like more information about the Foundation or make a donation, you can visit the Foundation website at www.thekhf.org Thank you! 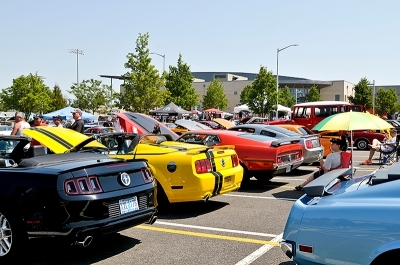 Nearly 100 hot rods and cool rides were on display at the 3rd Annual Kyron's Car Show at it's new location at Liberty High School in Hillsboro, Oregon. 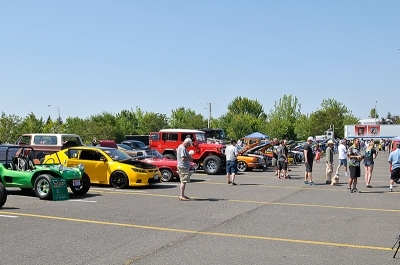 Spectators and car owners enjoyed a day filled with live music from the "There She Goes" Band, Slick's Big Time BBQ, raffle prizes and lots of random giveaways to the car show entries. Kids of all ages were excited to have their pictures taken with the Break The Chain Apparel Trucks "Hope" and "Mercy", the Portland Superheroes Coalition and the Rose City Clowns who were in attendance! Youngsters were entertained with a Bounce House, Face Painting and Crafts....a fun-filled day for the entire family!